Play a Monopoly-style family board game with an Irish twist! 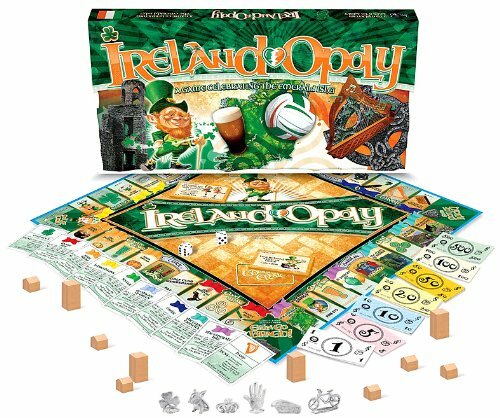 The game play in Ireland-Opoly is similar but the tokens, board locations, and other parts of the game are infused with a wee bit of the Irish! This fun game is a great way to learn about Ireland or relive a past trip to the Emerald Isle. Aquire landmarks and themes of Ireland as you travel around the board. Learn about Irish history and lore. Play as an Irish-themed token, like a Claddagh ring, bicycle, or lucky shamrock. 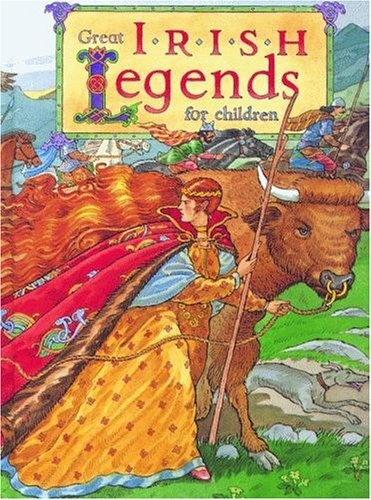 This youth book features six classic Irish legends. The well-reviewed volume is richly illustrated and shares the legends of old Ireland in an easy to read format. This is a 64-page book aimed at children aged 4 to 8 years. Traditional Irish names are used with a handy pronunciation guide to help young readers with the language. This book full of classic stories of adventure, honor, and bravery makes a great gift idea for kids with an Irish heritage or ancestral background. This fun home decor items is perfect for any home of Irish heritage. The green metal sign explains the famous "Murphy's Law" that boils down to "Anything That Can Go Wrong Will Go Wrong." The green sign has a pretty white border with shamrock design elements. 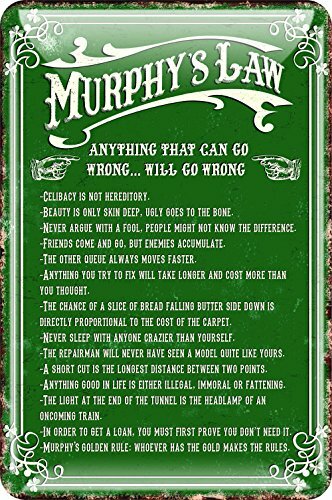 It measures about 12" by 8" and includes 14 different funny sayings related to Murphy's Law, including "The Other Queue Always Moves Faster" and the final golden rule: "Whoever Has the Gold Makes the Rules." Add this sign to your kitchen or family room, man cave or other spot where this funny Irish sign would fit in! This is a fun all-over printed romper jumpsuit made for men. The one-piece suit has a fun pattern of alternating four leaf clovers in white along with dark green shamrocks and photo-realistic green shamrocks. This adult-sized romper is made of a comfortable mix of materials including spandex for stretch. The clothing has side pockets and a long zipper front closure. 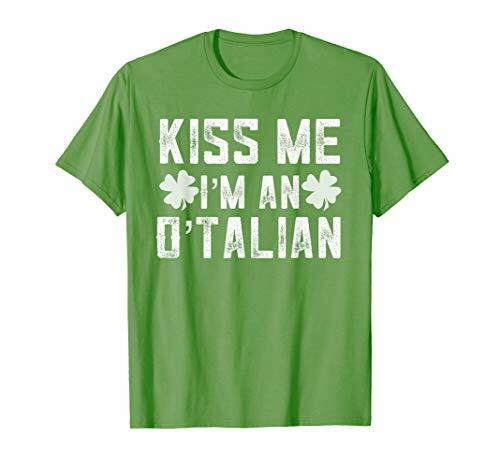 Wear this for your next St. Patrick's Day party to really stand out in the crowd! 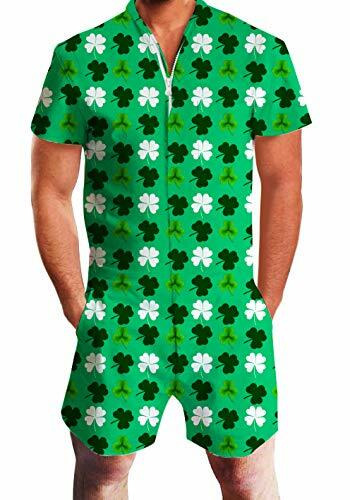 This St. Patrick's Day jumpsuit for men is available in several other patterns, including another appropriate for the holiday with a repeating pattern of shamrocks, clovers, and beer against a green background.